Relationalists, on the other hand, argue that the primary motivation of the psyche is to be in relationships with others. As a consequence early relationships, usually with primary caregivers, shape one's expectations about the way in which one's needs are met. Therefore, desires and urges cannot be separated from the relational contexts in which they arise; motivation is then seen as being determined by the systemic interaction of a person and his or her relational world. Individuals attempt to re-create these early learned relationships in ongoing relationships that may have little or nothing to do with those early relationships. This re-creation of relational patterns serves to satisfy the individuals' needs in a way that conforms with what they learned as infants. This re-creation is called an enactment. 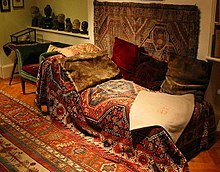 Stephen A. Mitchell has been described as the "most influential relational psychoanalyst". [full citation needed] His 1983 book, co-written with Jay Greenberg and called Object Relations in Psychoanalytic Theory is considered to be the first major work of relational psychoanalysis. Prior work especially by Sabina Spielrein in the 1910s to 1930s is often cited, particularly by Adrienne Harris and others who connect feminism with the field, but as part of the prior Freud/Jung/Spielrein tradition. Other important relational authors include Neil Altman, Lewis Aron, Hugo Bleichmar, Philip Bromberg, Nancy Chodorow, Susan Coates, Rebecca Coleman Curtis, Jody Davies, Emmanuel Ghent, Adrienne Harris, Irwin Hirsch, Irwin Z. Hoffman, Karen Maroda, Stuart Pizer, Owen Renik, Ramón Riera, Daniel Schechter, Joyce Slochower, Martha Stark, Ruth Stein, Donnel Stern, Robert Stolorow, Jeremy D. Safran and Jessica Benjamin - the latter pursuing the 'goal of creating a genuinely feminist and philosophically informed relational psychoanalysis'. A significant historian and philosophical contributor is Philip Cushman. Psychoanalyst and philosopher Aner Govrin  examines the heavy price psychoanalysis paid for adopting postmodernism as their preferred epistemology. He posits that only analysts who thought they “know the truth,” created classical, interpersonal, self-psychology, ego psychology, Kleinian, Bionian, Fairbairnian, Winiccottian and other schools of thought. While the relational tradition had made extraordinary and positive contributions to psychoanalysis, and its postmodern epistemology is indeed moderate, as a political movement the American relational tradition had unwanted psychological and sociological effects on psychoanalysis. This led to a severe decline in the positive image of knowledge that is crucial for the building of new theories. Led by the relational movement, but influenced by a much broader movement in western philosophy and culture, this impact has greatly influenced international psychoanalysis. It has led not only to the disparagement of the school era but also to the devaluation of any attempt to know the truth. Adopting a more sympathetic line of criticism, Robin S. Brown suggests that while relational thinking has done much to challenge psychoanalytic dogmatism, excessively emphasizing the formative role of social relations can culminate in its own form of authoritarianism. Brown contends that the relational shift has insufficiently addressed the role of first principles, and that this tendency might be challenged by engaging analytical psychology. ^ Mills, Jon (2012). Conundrums: A Critique of Contemporary Psychoanalysis. New York: Routledge. ISBN 978-0-415-89885-0. ^ Mills, Jon, ed. (2005). Relational and Intersubjective Perspectives in Psychoanalysis A Critique. Aronson/Rowman & Littlefield. ISBN 978-0-7657-0108-4. ^ a b Mills, Jon (Spring 2005). "A Critique of Relational Psychoanalysis" (PDF). Psychoanalytic Psychology: 156, 158. ^ Brown, R.S. (2017). Psychoanalysis Beyond the End of Metaphysics: Thinking Towards the Post-Relational. London & New York: Routledge. This page was last edited on 15 December 2018, at 11:37 (UTC).